Nivica village, an unknown village located in the southern highlands in upper Kurvelesh area, is attracting numerous fans of extreme sports and other recreational activities. Meanwhile, professional climbers were invited in the frame of Nivica Project to explore the unknown, but beautiful canyon of the village. Project Nivica is an initiative that aims at creating and establishing a sustainable tourism model in the region. Nivica is the perfect place for those who love nature and history. Life in the village and in the entire region follows a slow pace that reflects the importance of agriculture and old traditions. International media like the Washington Post and FOX News wrote about Project Nivica. They focus on the unique traits of nature and people in the area that remains untouched by modern life. Nivica is a place of legends and myths, but nature seems to be the cult of its inhabitants. The village is home to picturesque and dramatic landscapes where it is possible to hike to the top of high mountain peaks like Kendrevica, 2,121 meters above the sea level, or explore unknown canyons and waterfalls. Hence, a group of international professionals was invited to explore Nivica Canyon, a place still unknown among European climbers. The group of French, Dutch, Italian, Slovenian, and Australian climbers observed and explored the canyons for ten days. 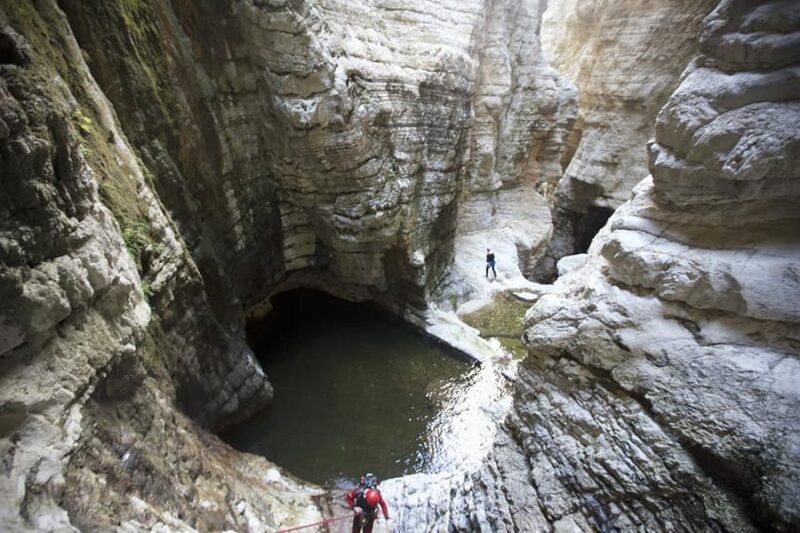 At the end of their expedition, they agreed that the canyons of Nivica are among the rarest and beautiful natural sites in Europe and therefore, they need to be protected and preserved, director of the National Coastal Agency, Auron Tare said. On the other hand, the canyon exploring and climbing and other outdoor activities are expected to help the social and economic development of local communities in the entire region of Kurvelesh. The ancient trails that connect the small villages are nor signed and marked for hikers and ramblers. Besides natural riches, the region is also home to severs cultural monuments such as fortresses, pagan temples, shrines, churches, and other objects that date back to antiquity.